I was very impressed with this one project. why am i impressed? because this project is one of the heavy competitors in the field of cryptocurrency exchanges. yeah ... this is called "StellarX", the first full-featured trading app for Stellar’s universal marketplace. StellarX is a user-friendly way to trade all types of assets — fiat, crypto, bonds, whatever — cheaply and quickly while maintaining sole control of your keys. You can request an invite here, and it's open to the public this summer. First of all, StellarX lets you live the inter-chain dream of swapping your Philippine Pesos for Litecoin for municipal bonds for lumens, and all of those trades settle in seconds. We let you trade directly from your own wallet, and you can deposit and redeem off-chain assets, like BTC or EUR. We also help you manage your secret keys, though of course we never have access to them or your assets. Because it's built on the open Stellar order book, no one — no exchange, no miners, no middleman of any kind — takes a cut of your transactions. In a world of a thousand DEXs, StellarX is one of the few true peer-to-peer, trader-to-trader platforms. Trading on StellarX is completely free because the Stellar network fees are so low we can refund them out-of-pocket. In fact, StellarX pay top market-makers to ensure the closest spreads for everyone. And StellarX also give Stellar’s automatic 1% APR inflation back to our users, keeping none of the weekly airdrops for ourselves. If you hold funds on StellarX, you will get your pro rata lumens every Tuesday. Stellar’s universal marketplace is greenfield for experienced, adventurous traders — the order books are raw and underexplored. Since StellarX is the first complete client for Stellar, StellarX support every last token issued to the network, all 2500+ of them, including dankness like eQuid (GBP tether or digital cephalopod, who can say?) and something calling itself “charna token”. Roughly 50 new tokens come online each week — crypto, commodities, fiat tethers, securities, and so on. StellarX is designed to reveal every asset, every order book, every trade. For example, right now we show five bitcoin markets asking five different prices for the same thing; arbitrage possibilities like this are not only common on Stellar, StellarX will pay you, through our market makers’ awards, to take advantage of them; of course compared to charna token, bitcoin is for pensioners and cowards, let’s just all agree on that, but my point is, there’s clearly opportunity here. We’ve made apps like Kickstarter, Headspace, and OkCupid. StellarX’s creators have a great deal of building experience outside the crypto space, and we know how to make popular, user-friendly tools. In our past lives, we brought people together for first dates; now with StellarX we’re hoping to connect buyers and sellers of, like, MOBI coin. Seems just about as sweaty a situation. WHY DID BUILD ON STELLAR? Stellar enables arbitrary extensions of the “tether” idea, meaning you can digitize any off-chain asset — pork futures or Zcash or SkyMiles or USD or whatever — and the protocol itself will handle redemption and compliance. Stellar therefore unifies disjoint economies (and blockchains) into a single market. Stellar supports native ICOs, and because it’s actually a payment technology (and not an attempt to build a “distributed computer”), it’s better than Ethereum for most ICO use cases. Stellar has a built-in order book. It’s not just a ledger system; it’s a transactionsystem. Markets and settlement are built directly into the platform. Stellar itself matches buyers and sellers. Stellar itself is a DEX. So an app like StellarX can natively expose the entire trading ecosystem, without partitioning. Stellar doesn’t rely on proof-of-work, meaning it’s both energy- and cost-conservative. Transaction fees are, as of today, two ten-thousandths of a penny ($0.000002) — so low we can afford to redeem them for our users. Plus, since Stellar bypasses miners and their ASIC farms, we can use it knowing we’re not paying some dudes to drown our grandchildren. Broad adoption hasn’t happened yet for Stellar. But in putting this thing together They (StellarX team) dug deeper into the technology than any team beyond the core developers, and i know it works. They (StellarX team) decided they rather build now and wait for the world to catch up than have it the other way around. 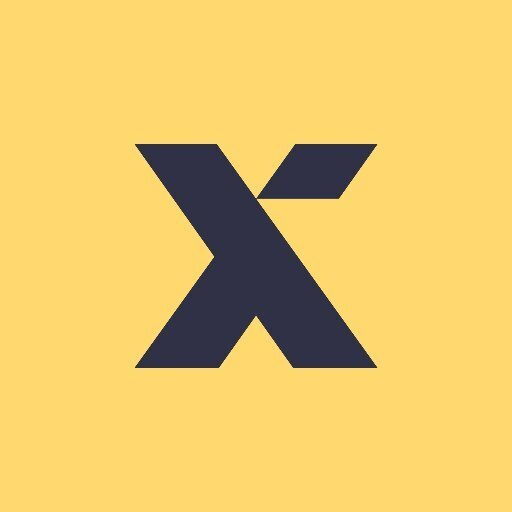 I've found something fantastic in the field of cryptocurrency, and They (StellarX team) begin opening up the platform soon. Watch this space for more news and just the most pithy, most insightful analysis imaginable. Our founding principle is to always show you the most diverse, most open marketplace on earth. StellarX. Have at it. So many of these discussions. I am very happy to be able to share with you all Steamnia, are you interested in this project? Comment on this topic and don't forget upvote.